Cigars and I go way back. Like wines, bourbons, and haute cuisine, I’ve learned to be discriminating in my selections. Cigars force you to make choices. Choosing a cigar is not something you do just on the fly. It is a process that should be deliberated on, mulled over, and picked apart. 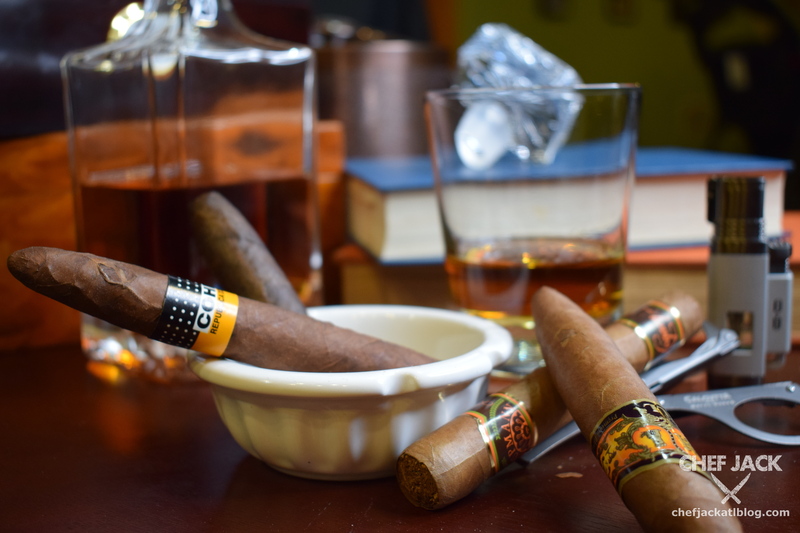 Sometimes the choice of a cigar depends on your mood: pungent and rich or mild and mellow? It depends upon the company you keep: bold and fruity or leathery and spicy? It depends upon what you are drinking, be it an ice-cold Icelandic vodka or a super velvety Kentucky whiskey. And it depends on you: your tastes, your history, your memories, and the time you have to burn a cigar. Like a wine, a cigar is to be savored. Like a well seasoned dish, it is to be lingered on and the various flavors identified and enjoyed. Like a fine bourbon, a good cigar will reveal itself to you in multiple layers of taste, smell, and mouth feel. Is it a lot of work? It can be. But it is worth it if you educate yourself on your choices. I love a good cigar. I don’t smoke them often both for reasons of health and the overpower scent can linger well beyond the delicious fresh puffs, like a wine that has set out all night and is now in the dregs. But when the perfect occasion arises, I like to have some choice tobacco in my little humidifier to light up and enjoy. From the time they made their way from the New World to Spain and Portugal, and then to Europe and around the globe, cigars have been a study in blending, merging, aging, and storing. Quality cigars are available through great online stores like Cigar.com and plenty of information about cigars and cigar lifestyle can be found in the pages of Cigar Aficionado Magazine and other. YouTube videos and websites disgorge a trove of info on how to purchase and store cigars in your home. Cigar bars are becoming more popular and even include rental humidors you can stash your favorite selections in so you don’t every have to worry if that flavorful madura is going to be exposed to air, heat, and dryness. And dryness is the bane of all cigars, even the low quality ones. 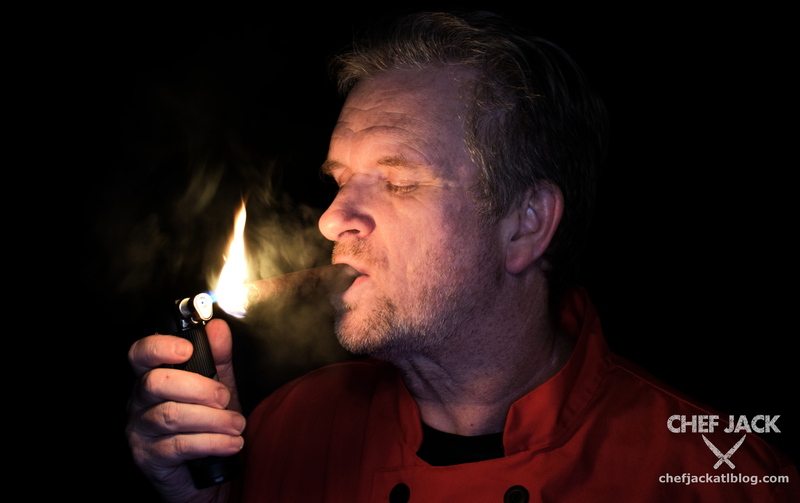 The moisture and oils in the tobacco leaf dry up and leave the cigar-smoker with an experience akin to sucking the smoke out of a burning newspaper. Keeping the cigars at the right humidity and temperature (about 70°F and 70% humidity) preserves the moisture and oils, and as with any food or spice or blended drink, that is what preserves flavors. In an increasingly health conscious environment where the wages of cigarette smoking have long been thrashed out, and the links to cigar smoking and increased rates of cancer are too pronounced to be ignored, it does take a certain recklessness to smoke cigars on a regular basis. But as with anything, I believe moderation is the key and like a diet that occasionally included nitrates, cholesterol, and alcohol, a person can reasonably enjoy as long as they don’t over-indulge. Cigars are classified in three basic ways: by size, by shape, and by color. The sizes of cigars can vary from 4 inches in length to over 8 inches, and the circumference can vary as well. The shape can be long like a tube or pinched at the ends like a torpedo. The color indicates the type of leaf the cigar tobacco was wrapped with. Some wrappers can have as distinct a flavor and scent as the fillers they contain. Some are more mellow and some don’t compete at all. Typically the darker the wrapper, the stronger the flavor. With a growing demand for cigars, cigar bars and other vendors are making sure to educate their staff in the descriptions of the various brands, and some higher end locations even engage the services of skilled cigar sommeliers. While I’m no sommelier, I do have favorites that I introduce or recommend to friends. They are staples that I always want to make sure I have in my humidor the way I want to make sure I have a great olive oil, a suburb flake sea salt, or a gourmet spice in my pantry. Cohiba Red Dot: This is about the best known brand of cigar in the world. Its a medium/sweet tobacco filling wrapped in a West African Cameroon wrapper that makes these cigars on the medium to full range of flavor. I get that one in “Churchill”, a size catagory. Macanudo Cru Royale: This one carries more bunch, but less sweet and more leather and spice and vanilla. I get this one in a robusto, which is a bit shorter than the Churchill but can generally be smoked in one sitting. Quesada Q D’Etat: I found this one as a happy accident when I didn’t know exactly what I wanted. The sales person recommended this and the shape (a figurado) really appealed to me. It was as long as a robusto but tapered in the figurado style, which made it look all unrefined and guy-like. And it is a strong one, very strong, like a triple brewed cup of coffee with dark chocolate highlights that make it punchy, but still accessible. It’s worth noting that along with the rise of the cigar sommalier there are vendor and services where you can get a brand new, fresh-off-the-board hand rolled cigar built with the personal recipes of the people who create them. In Atlanta you can have the Atlanta Cigar Rollers come and roll cigars for your wedding, corporate event, bachelor party, birthday party… anytime you want to enjoy the terrific flavor, smell, and sense of a well-made cigar. And there are many others, too. And it is not just a man’s world, either. The fastest growing demographic for cigar smoking is women. So, if you are ready to invest some time to learn, and time to explore, and time to savor the great range of tastes that are cigars, know that there are no shortage of options and a wealth of information to help you decide what to choose. Chef Jack is an award-winning private and professional catering chef. He's called Atlanta, GA home for 20 years and has served A-list celebrities, politicians, CEOs, and everyday folk. When he has a day off, he is usually in the kitchen cooking up new concepts and recipes for his family. Stay up-to-date with everything Chef Jack is doing, including events and new recipes!